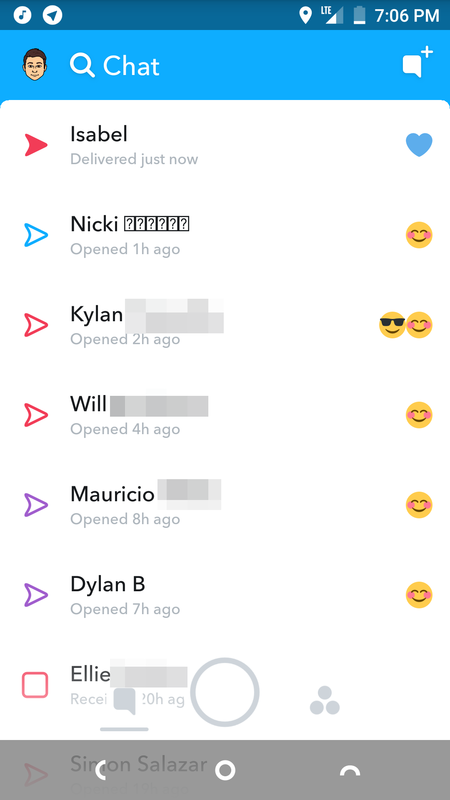 Snapchat is readying an update for its Android and iOS versions that brings a new interface with plenty of usability improvements and a few added features. The update is now rolling out to beta testers on Android so you can give it a go before it goes live for everyone — and thus feel cooler than the cool kids, I guess. Just don't use the word "thus" when you tell them that. The new interface is more colorful with a blue title bar for chats and a purple one for stories. The Stories section also loses the Discover strip from the top. 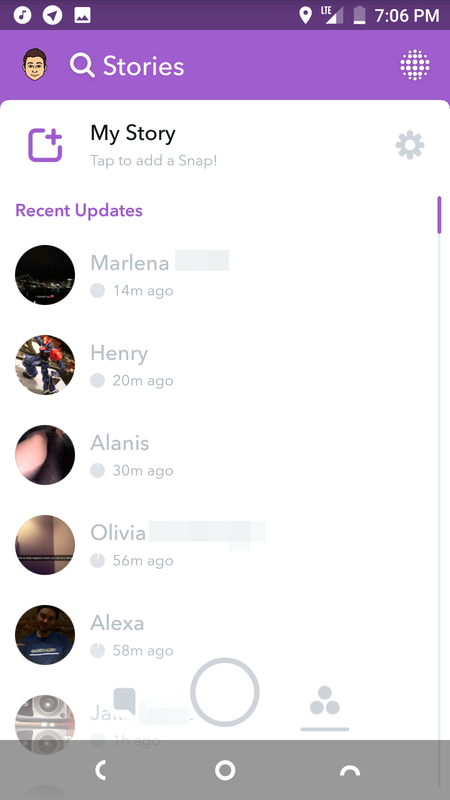 It now goes on the bottom instead, letting you focus first on the recent story updates from your friends. And while we're talking about stories, you'll soon be able to submit publicly to "Our Story" without choosing a specific topic or event, which gives Snapchat freedom to see submission trends and aggregate stories accordingly. 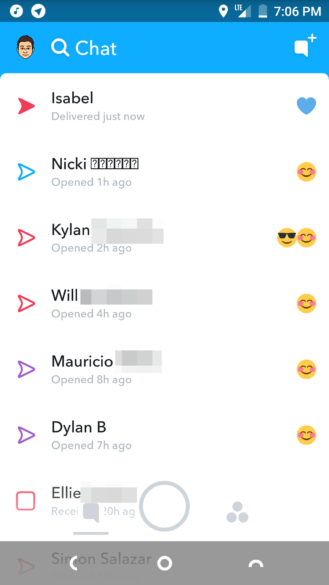 But the major change to Snapchat in version 10 is the new search bar that's always accessible on top. You can tap your bitmoji to quickly jump to your profile, but if you simply tap the magnifying glass icon, you'll see a new Search screen. 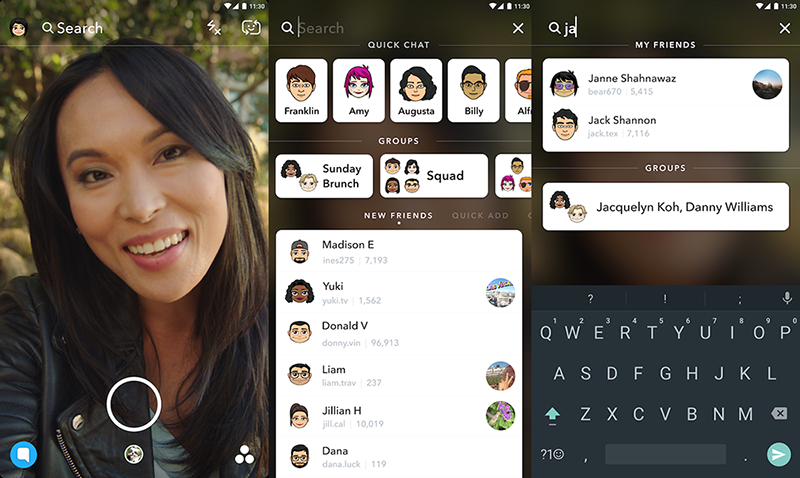 There, you get "Quick Chat" for easy jumping to specific friend chats and stories, access to groups, and lists of your new friends and more suggested friends to add. 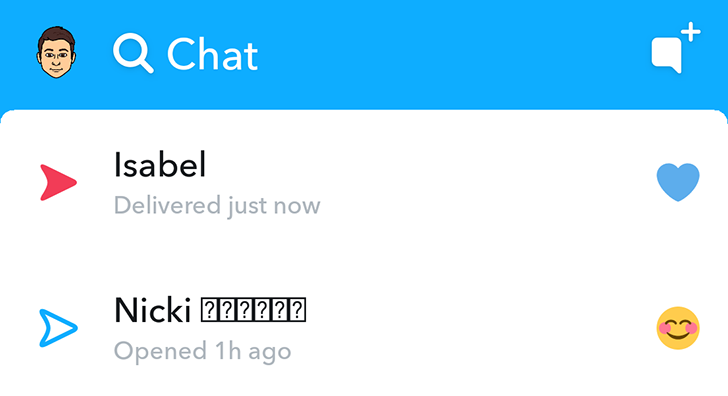 Snapchat is thus trying to make content easier to reach and relying less and less on gestures. I haven't tried v10 beta because I've long ago resigned to the fact that I'm too old to care about Snapchat — though I am hip enough to write about it, yeah! she said while not knowing if the word "hip" is hip anymore — but users who have downloaded it say the app seems snappier (take that pun, kids!) and more responsive on their phones. This could be due to the new animations or to more optimizations. Entirely new look to app. App now has search bar at top of all screens for searching contacts/groups. App incorporates new animations and colors for fuller look. Stories page is also reworked with the Discover preview now showing at the bottom instead of the top. To give Snapchat v10 beta a try, you need to become a tester on the Play Store then wait for the updated app to download. Or you can grab the file manually from APK Mirror and install it.